Get the FAQ, and learn why you need to have your business listed on the Flathead Guide. • What is the Flathead Guide? • Who uses the Flathead Guide? • Why should I add my business to the directory? • Will the Flathead Guide send more customers to me? • What’s with the dog? An online publication that lists local companies, events and visitor information for northwest Montana. Find businesses, shopping, restaurants, lodging, products, services and discover things to do and see in the Flathead Valley. More than just a digital directory, the Flathead Guide is also optimized for all mobile devices. This helps the millions of visitors and Flathead residents who rely on their smartphones and tablets to keep in touch and find local information. 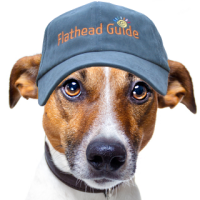 Who uses the Flathead Guide? Flathead Valley residents and millions of visitors have unrestricted access to the directory. Accessible from the web via any computer, tablet or smartphone, the guide is optimized for mobile and leverages the meteoric rise of web-enabled mobile devices. Smartphones will soon become the #1 access device to the Internet so presenting your information in a mobile-friendly format is our primary objective. The Flathead Guide is NOT an ‘App’ that must be downloaded to use; it is a website indexed by search engines, which means that companies listed on the website benefit from the link and their 100% search engine optimized listing. Why should I add my business to the directory? The #1 action you can take to boost the search ranking of your primary website is to obtain strong local links form authority sites. Your listing in the Guide is like having a stand-alone ‘mini website’ that contains a description of your products/services, all contact information, a photo slideshow, Google map and MOST importantly, a one-way link to your website. Google maintains different search indices for mobile sites. Your listing presents an opportunity to have your business in Google’s mobile index. Your listing will benefit from our ongoing SEO and social media promotional efforts. Plus our local advertising, promotion and sponsorship. You CANNOT find a better promotional opportunity for your business than what $4 per month delivers every month. If you advertise offline, you must have a mobile-ready website. 66% of Americans have performed a search on their mobile after seeing or hearing an offline ad (newspaper, radio, television, magazines, etc.). They see or hear your ad and search on their phones for more information. Smartphone users know what that funny looking image is; it is called a QR code and it is meant to be scanned by a mobile phone. Scanning the image launches the phone’s browser and directs it to a website. Go ahead, scan it. 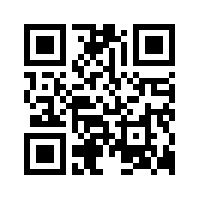 This particular QR code will take you to the home page of the Flathead Valley Business Directory. “Local Search” and mobile are two of Google’s top priorities and the Flathead Guide maximizes both. Will the Flathead Guide send more customers to me? 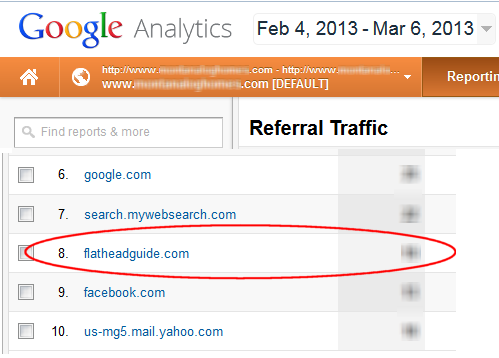 Below is a screen-capture from one a local client’s Google Analytics report who happened to be one of the first companies listed in the Guide. Not only did this new listing receive traffic, it surpassed what they receive from Facebook. The pup is our adopted mascot and anyone who has ever had a trusted, loyal dog knows how special they become, and how much we grow to rely upon them. In the same way we trust our loyal companions, the Flathead Guide provides numerous benefits to every business listed. As a smartphone-optimized business directory of the Flathead Valley, ours is an easy to navigate travel partner that is always by your side because it is as close as your smartphone. For more on our mascot, see this post.